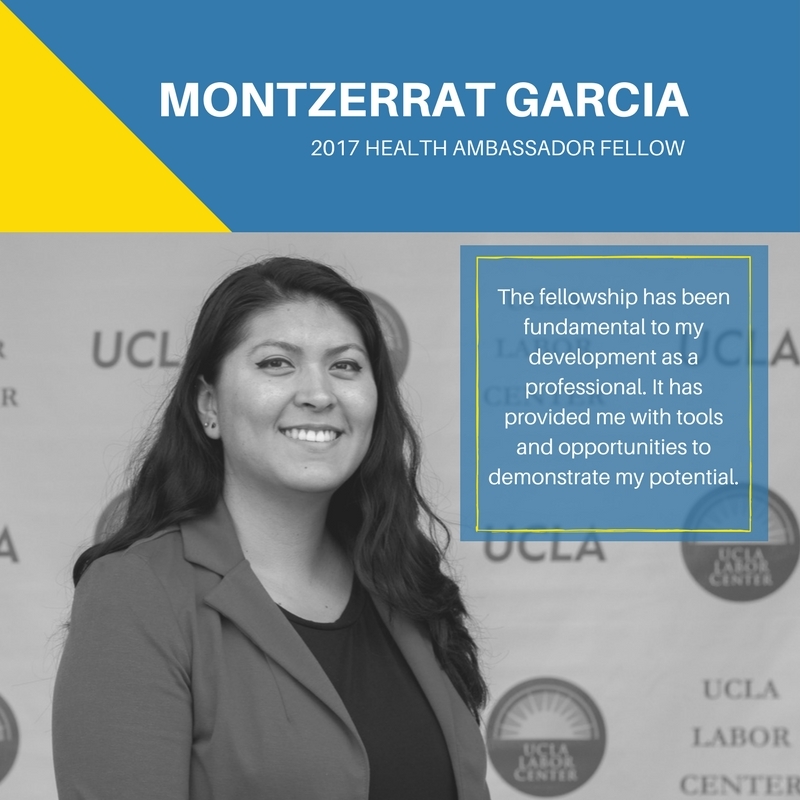 Montzerrat Garcia Bedolla is a Health Ambassador fellow based in Sacramento, she was placed with the organization Brown Issues, where her work explored the intersections of public health, social justice, and immigrant health. Montzerrat was born in Guerrero, Mexico, she migrated to Santa Ana, California when she was 8-years-old. She later relocated to the Bay Area in 2010 where she attend school and graduated from UC Berkley. Carrying the experiences of a first generation college student, growing up in a low-income household, and having limited access to higher education, she leads organizing efforts with these communities in mind. She hopes to lead a career in medicine to become a bridge and uplift community engagement as an opportunity to radicalize the meaning of health. My family will always inspire me. My family has been my support system, my teacher in life, and my motivation to uplift a narrative that screams–health should be a right and not a privilege. I learned what hard work, leadership and humility is. Through the sacrifices we made as a family unit and as individuals, we were able to navigate this world. The need to thrive despite having limited resources or despite the obstacles is a reminder that we thrive as a family, a community, and a collective. The communities I come from also inspire me on the daily and reassure me that we not only survive, but that we deserve the right to thrive as well. How did you hear about the Health Ambassador Fellowship, and why did you apply to become a fellow? As part of the 2014 Dream Summer’s Healthy California cohort, I was exposed to working at the intersections of immigrant rights and health justice, and found out through the DRC alumni and staff about this opportunity to continue to expand and build on this work. I applied because this is a unique program that allows immigrant health to take the front seat and position youth leaders most affected at the forefront to best inform community solutions. What is one thing you have learned as a Health Ambassador fellow? Immigrant health should have a place in the overall health conversation. The one thing that remains constant is the exclusion of undocumented immigrants in healthcare access, so we have to keep uplifting the narrative that people deserve to live a healthy life to be able to thrive. How has the Health Ambassador Fellowship shaped and provided a platform for you to move forward in your career? The health ambassador fellowship has shaped me and provided me with a platform to continue to move forward with my career goals. I want to get a medical degree, but the lens and practical experience I have gained through this fellowship has shaped the way that I see health access. The intersections between policy, health, and immigration, this is a perspective that is missing in the medical field. I take this experience with me as a testament that we must invest in the health of people as doctors, and that sickness does not know immigration status, so why should health access be? Finish a Post-baccalaureate (post-bac) program to strengthen my eligibility for medical school, and move back to Santa Ana in the next three-years. I hope to move back to my hometown to be closer to the community that invested in me throughout my young teenage years. I have the ambitious goal to open a community health center to advocate for holistic health resources for underserved communities. I see myself in Santa Ana, opening up a community health center as a medical student. I hope to have created avenues for community health to be priority. What would your advice be to future Health Ambassador fellows? Have a plan and work to make it come true, and find partnerships that value your work. Partnerships, coalitions, and finding people that are willing to build a collective movement is vital to centering issues and working at the intersections of immigrant rights and health justice. To work at this intersection you have to go to people, you have to be creative, and you have to stay optimistic and know we are deserving of a healthy life. Why is working with the community important to you? It takes a collective effort to make movement happen, and it takes a collective effort to value each other in ways that society as a whole may not. Therefore, community health is more important to me than individual health. When a community looks out for each other and values each other, then we start creating change by and for the people that matter the most.